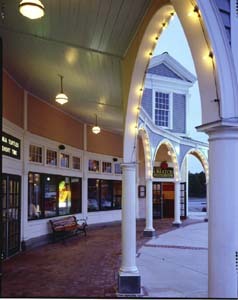 Orr & Taylor designed on one of the town's focal points, a 55,000 SF mixed use theatre building. 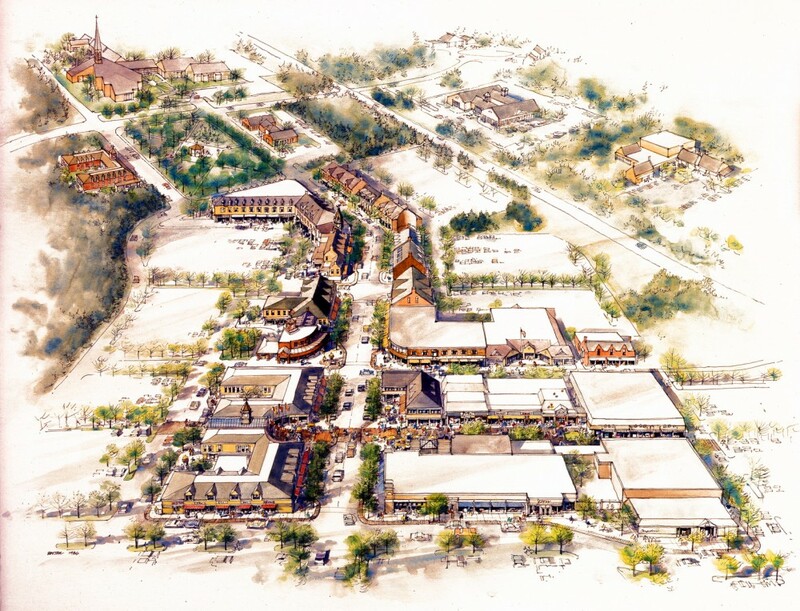 In addition to the six-screen theatre, the building includes a two story 150 seat restaurant, retail shops, and second story offices. All faces of the freestanding theatre building are urbanistically important. To the north, the theatre building faces Center Street, the town's main thorough- fare. The important regional road, Rte. 28 lies to the west, a major parking lot to the south, while the east side is bounded by Market street and faced by a bank. Orr & Taylor's response to the side and rear facade (which must be windowless to accommodate for the theater program) is to rhythmically articulate them with large pilasters and an entabulature of correct classical proportions but of a very bold scale. The thickness of the pilasters and entablature are exaggerated in order tobring depth and life to the otherwise long and flat facade by creating a play of light and shadow across the building's expanse. The four corners of the building, which also "anchor" the four corners of the block, mediate the bold scale of the parking lot facades with the more intimate scale of Center Street. 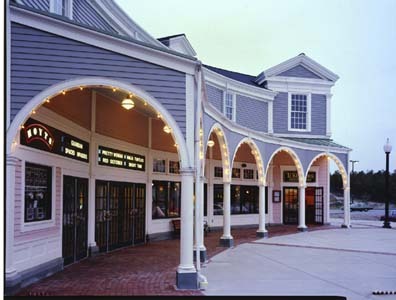 The pavilions project above the building's roofline with large pediments and over-scaled pilasters. Within the bold framework, the pavilions, are given expressive emphasis by finely detailed doors, windows and pilasters. Along Center Street, arched entryways lead into shops filled with antique furniture and similar goods. Just beyond the shops, a small, semi-octagonal pavilion provides an entrance to the upper level offices. There, dormered windows provide the office's inhabitants with views of the street below. The wall of shops and offices are transected where the building divides into two to shape a large semi-circular Plaza. Beyond the plaza, a wide walkway connects the alley to the parking lot. The walkway opens into a mini plaza with information quiosk which will serve to welcome those who arrive by car. A bridge connects the two parts of the building and centers on the plaza. It is both a focal point for and a gateway into the plaza . In addition to its function as a connector, the bridge alternately serves as a podium for speakers or gallery for musicians. 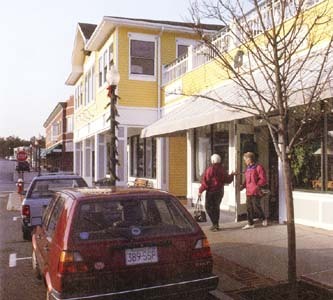 The overall effect of the building and its plaza is to bring both a sense of civic dignity and festivity to the Mashpee's cultural center.